Available for the first time in English, You Alone are Real to Me recounts the relationship between the greatest German poet of the twentieth century and the remarkable woman who was his guiding star. 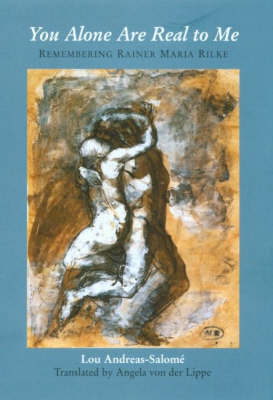 The memoir gives an intimate account of Rilke's poetic development from the early romantic poems to the sculpted New Poems/Neue Gedichte and the final breakthrough of the Duino Elegies. From early intimacy through the years in which their lives radically diverged, Rilke always turned to Salome, if his poetry was at a point of change, or if his personal affairs were in turmoil. Salome recreates the poet's highs and lows: we see Rilke close up as if for the first time in the words of the woman who meant the world to him. This book offers keys to the Duino Elegies and provides valuable information about Salome herself.